Note: This is an update of a piece originally published in late 2014 by Will Hoekenga. The landing page trends we predicted in that post aren’t brand new trends anymore—in most cases, they’re the new status quo. To see our list of 15 modern landing page must-haves and make sure your own landing pages are up to date, click here to download the free PDF. It’s important to be able to create landing pages quickly for a lot of reasons. It’s important because you want to be able to execute your ideas as soon as they’re thought through. You want to be able to make the most of time-sensitive promotions and put out a page whenever a new opportunity comes up. And it’s been well established that the more landing pages you create, the faster your business is likely to grow. It’s also important for a simpler reason: things move pretty fast in online marketing. And I can guarantee you that most landing pages from even five years ago—even pages that were effective when they were built—are going to stick out like a sore thumb today. Or, at the very least, fail to consistently produce results. Customers’ habits have evolved, and so has our understanding of what motivates them and what can be done to increase conversion rates. Unlike fashion trends or even general web design trends, landing page trends don’t seem to come and go and cycle back. Once something becomes outdated, it tends to stay that way. On the other hand, once something’s been proven to work, it becomes so widely adopted (at least among the most tuned-in marketers) that it hardly counts as a landing page trend anymore. It’s just a best practice. 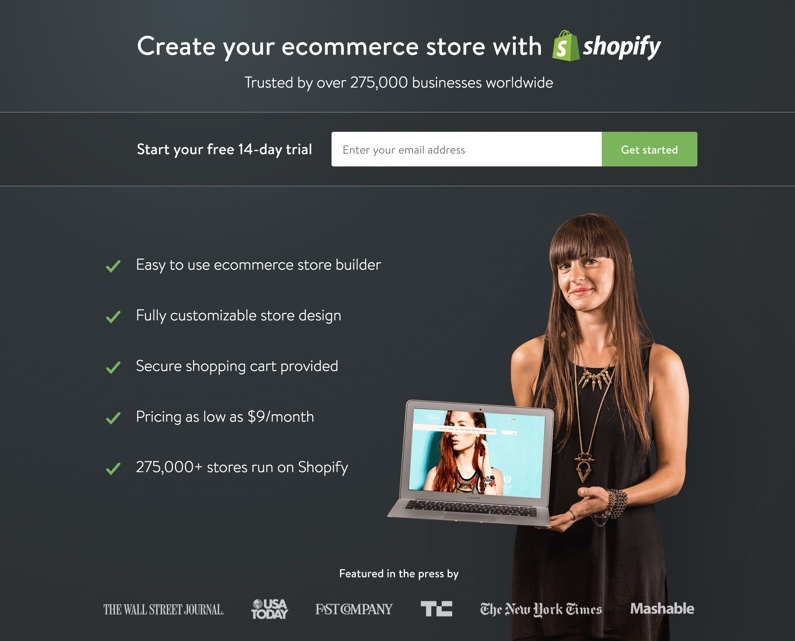 So how have landing page trends moved on from there? That’s what I’ll be exploring in this post. We’re constantly examining effective landing pages from our own 42,000+ customers and from some of the biggest brands out there. (Software companies tend to be especially on top of this sort of thing, since their products live only online.) From that pool, I’ve identified 12 landing page trends that—while not necessarily brand new—seem poised to keep ascending in the year to come. If you use landing pages to offer a free trial of your software, subscription service, or online course, you have a lot of careful calculations to make. On the one hand, you want to make sure you and your team aren’t overwhelmed by tire kickers who aren’t a great fit for the product and never really intend to buy. But on the other hand, for customers who are a great fit, you want to make the signup process as smooth and swift as possible. This page lets an excellent testimonial and a quartet of bullets sell the product. Then, the opt-in form lets visitors create a trial account right there on the page, with just enough form fields to let HackerRank track who’s signing up and follow up with them if they don’t convert into paid subscribers. If you’re building a landing page for a competitive industry, simply making your signup process easier than your competitors’ could give you a substantial edge. The standard model for a landing page call to action is simple: opt in to get either immediate access to a product or service, or sign up to join a list (and maybe get something extra, like a lead magnet). But increasingly, we’ve been seeing landing pages that make the opt-in process a little more personal. Instead of offering the same lead magnet to everyone in exchange for some basic data, they promise individualized guidance based on your responses to more in-depth questions about your needs. Visitors are prompted to answer four questions about their business, and then a final question hints at the results and asks for contact information so Software Advice can send price comparison data to them. With a process like this, every step builds momentum, and visitors become more and more invested in submitting their information to receive the promised reward. Since the introduction of Leadpages’ new drag-and-drop builder this year, I’ve been noticing some really neat interactive landing pages from our customers. The new HTML widget allows you to drop code from any other source onto your page and embed elements such as quizzes or calculators. This widget was created with LeadDoubler.com, but you’ll find many different options once you start to research tools. Exit pop-ups are old news by now (though they’re still effective). More recently, I’m also seeing what might be termed entrance pop-ups—modal screens that appear when you arrive at a site and ask for your email address in order to access bonus content or coupons. The animated GIF really makes it. Leadpages customers can add GIFs to their own Leadbox popup windows to achieve a similar effect: you’d simply publish your form as a timed Leadbox that appears as little as one second after the page loads. The power of entrance popups lies in this: done well, they have the ability to turn any page into a landing page. That’s especially valuable if you run an ecommerce or media site, which might have hundreds or thousands of individual pages without prominent opt-in points. This tactic suggests that businesses in every industry are realizing the value of establishing relationships with prospective customers across platforms. Over the past several years, web designers have been realizing the power of letting photography spill across the screen. In fact, Leadpages picked up on this trend early—our simple photo-background squeeze pages have been some of the most widely used and highest converting templates we’ve made. It doesn’t just tell you something about what the page offers—it evokes the state of mind (cozy yet adventurous) the company desires to stir in its subscribers. Whenever inspiration is a critical part of your marketing strategy, it’s worth thinking beyond the obvious imagery and thinking about how a happy customer or subscriber should feel. Your background image could help transport them there more quickly. In fact, if you spend much time clicking through PPC ads from top companies, you might notice that on the whole they seem to be growing leaner, condensing themselves into powerful one- or two-screen marketing engines. There’s no possible way you could miss what this page is about, and there’s nothing to do here but opt in. One image. One call to action. Heck, there are only two pieces of copy that even qualify as a complete sentence—forget about dense paragraphs. Why are pages like this popping up in paid search? I think it has to do with the deeper understanding of visitors you can gain by targeting certain kinds of search queries. If I’m searching “how to build a store online,” I don’t need to be told why building an online store is good. I’m probably not just trying to satisfy my curiosity. (My hobbies aren’t quite that weird.) I’m searching that phrase because I’m ready to take action and build an online store, and a page that helps me take that action easily is likely to earn my business. I think marketers began to realize that few people were clicking on pages like this, because eventually those faded, in place of testimonials sections embedded in larger pages. Those can definitely add value, but there’s a further evolution here: sprinkling testimonials throughout your landing page to support or amplify certain points you want to drive home. When you use this social proof strategy on your landing pages, visitors’ eyes are less likely to glaze over when they hit a big block of testimonials. The voices of your clients may actually speak louder when they’re not all speaking at once. Quick: without scrolling back up, name one headline you’ve seen in these examples so far. If you can’t do it, it’s not your fault. And it’s no fault of these landing pages, either. 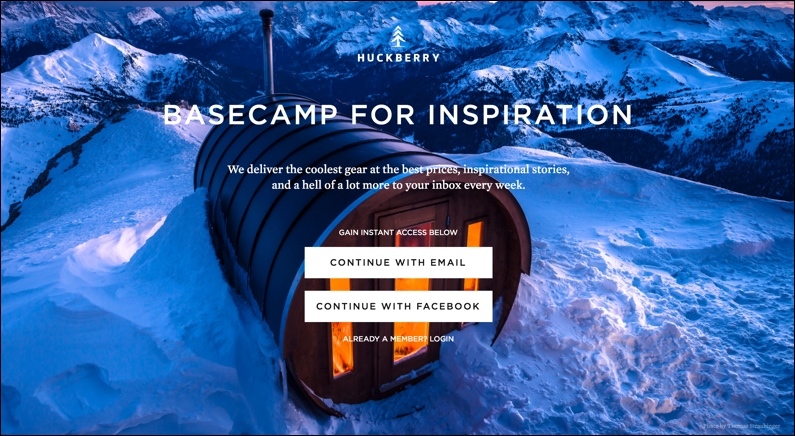 Rather than shooting for catchy taglines or clever wordplay, many effective landing pages these days are taking the almost-invisible route, beaming their message into visitors’ minds with little impedance. “Accept credit cards in your store.” It’s as clear as can be, and you could almost call it artless—if this kind of clarity and attunement to visitors’ motivations weren’t a fine art in itself. There are many ways to write a call to action. You can go the literal route: click here or sign up. You can go the conversational route: yes, I want this! Another intriguing option might be called the experience-oriented call to action. Rather than focusing on the action you need to take, experience-oriented calls to action cut straight to the desired outcome: actually using the product on offer. 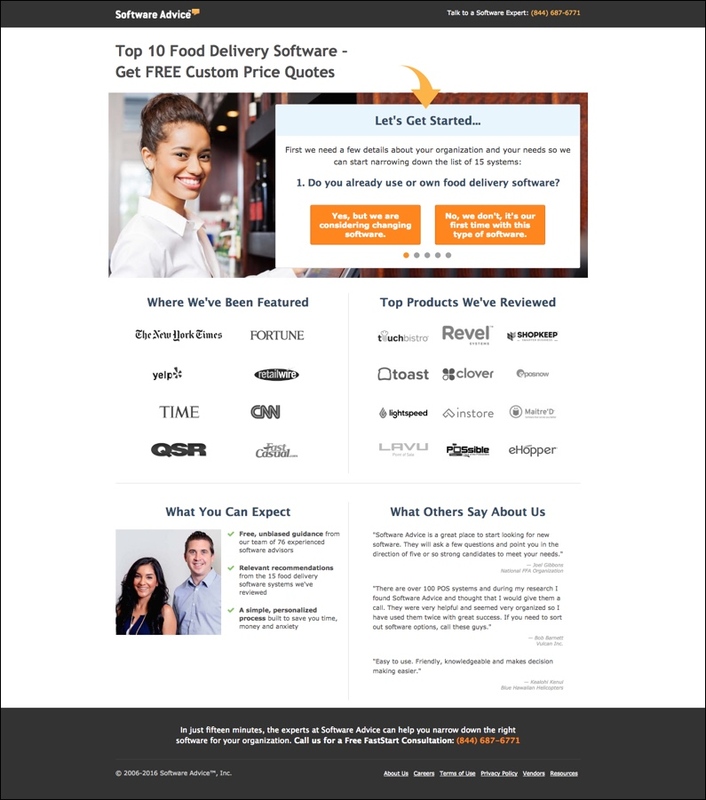 If you look around the Leadpages and Center websites, I bet you can find examples of this kind of call to action, too. Why is this on the rise? I have two theories. For one thing, if visitors weren’t 100% clear on what your product or service does before, experience-oriented CTAs can remove any lingering confusion. Beyond that, it mentally moves visitors closer to the finish line. They aren’t led to expect drawn-out signup or setup processes—the focus is on the reason they’d want to opt in to begin with. But say you can’t choose just one CTA for your page. Why not … use two? That may sound like heresy if you’re used to hearing the advice to make everything on your landing page revolve obsessively around one goal. And that approach will often serve you well. But it depends a lot on your landing page’s audience. For highly targeted audiences, singular calls to action are probably the way to go. But I’ve also noticed lots of major companies adding a secondary CTA to some of their landing pages that seem to get the highest traffic and largest audience. I call this the “tortoise and hare” approach. The idea is this: you include one CTA for visitors who are ready to take action ASAP, and one CTA for the ones who are higher up in the funnel—still researching, still exploring broadly. I was a little hesitant to build the page this way, actually—what if the dual CTAs were just a distraction? However, I knew this landing page template was historically high-converting, so I figured we might as well give it a shot. And it was worth it. The “no-commitment” option (simply reading the report) got plenty of clicks and views. But that didn’t prevent people from opting in for the download: well over a third of the total clicks on the page went to the secondary, “higher-commitment” option. In the previous edition of this post, we observed that companies were treating more of their pages like landing pages: eliminating distractions and focusing on action. This type of landing page is a middle path, helping marketers have their cake and eat it too on pages that draw several different kinds of crowds. As UX becomes less of a novel buzzword and more a part of teams’ everyday operations—and customers’ decision-making process—more online companies seem to be foregrounding their actual interfaces. This helps decision-makers get a sense of exactly what this platform would be like to work with from day to day, and maybe even visualize how it might improve on whatever system they’re currently using. First, the page shows off a snapshot of the kind of screen a restaurant professional might see on the job. Then, below, it isolates different elements of that interface to point out special features—saying much more than words alone or stock restaurant images could do. It seems like landing page creators are getting smarter and smarter at presenting complex information simply. The tactic above is one method. Another is simply laying out how your product works in a series of numbered steps. While one numbered list helps you understand exactly how Edgar operates, the other provides comparisons to competitors point by point. By placing your navigation links here, you serve return visitor (or customers) who need them while ensuring nobody else gets distracted before they reach the end of the page. 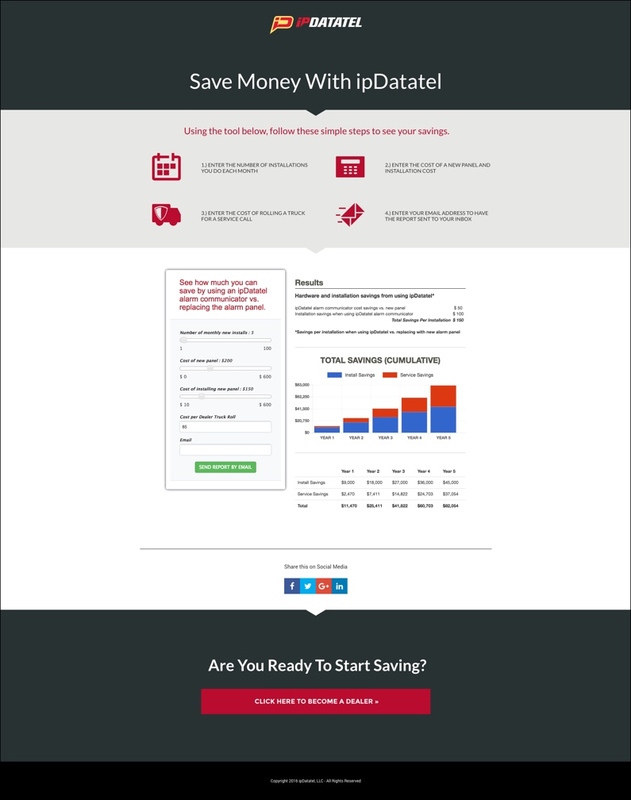 What Landing Page Trends Are You Noticing? Some of these strategies and techniques are extra twists on long-acknowledged principles of marketing; others are a little more surprising. If you’re trying to use landing pages to accomplish similar goals to the examples above, it’s worth testing these trends for yourself. 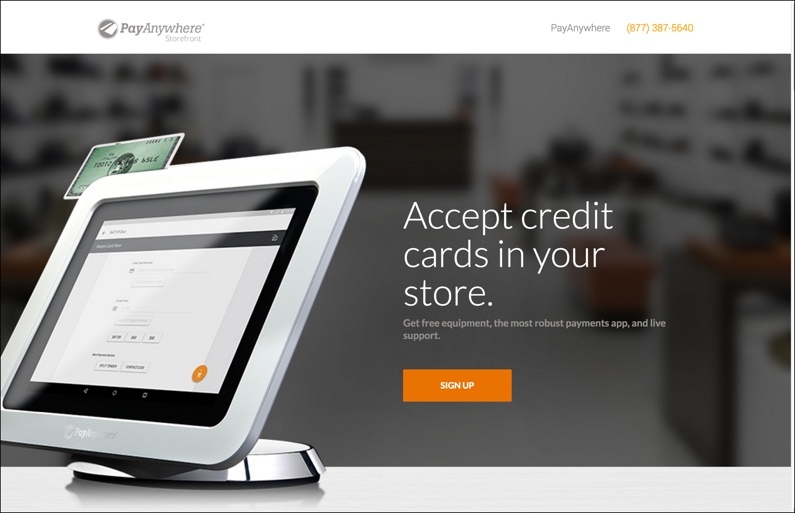 What trends are you seeing in landing pages right now? Are there any you would add to this list? Leave a comment below.